“Therefore, since we have this ministry, as we have received mercy, we do not lose heart. But we have renounced the hidden things of shame, not walking in craftiness nor handling the word of God deceitfully, but by manifestation of the truth commending ourselves to every man’s conscience in the sight of God” (2 Corinthians 4:1-2). The use of the word “therefore” in the opening verse of 2 Corinthians chapter four is much like a coupling in the Apostle Paul’s train of thought- it alert us to the fact that we are now about to enter the next car of that train. “This must be understood in the light of Paul’s overall ministry and this particular context (cf. 2Co_4:16). Paul did feel like giving up several times. Jesus appeared to him in visions several times to encourage him (cf. Act_18:9-10; Act_23:11; Act_27:24; 2Ti_4:17). “We don’t do shameful things that must be kept secret…” (CEV). “We don’t use trickery, and we don’t change the teaching of God” (ERV). “we refuse to make use of shameful underhanded methods, employing deception or distorting God’s message” (CJB). “We refuse to practice cunning or to tamper with God’s word” (ESV). If we should ever encounter a person who regularly engages in such practices under the guise of “ministry,” it may be a good indication that he or she did not receive that ministry from God. Instead, Paul sought to “…(commend) ourselves to every person’s conscience in God’s sight by an open display of the truth” (HCSB). “Therefore, since through God’s mercy we have this ministry, we do not lose heart. Rather, we have renounced secret and shameful ways; we do not use deception, nor do we distort the word of God. On the contrary, by setting forth the truth plainly we commend ourselves to everyone’s conscience in the sight of God” (2 Corinthians 4:1-2 NIV). It has often been said that “the ends justify the means” in life. A person who holds to such a philosophy is someone who believes that the tactics used in achieving a desired result are relatively unimportant as long as the result is “good.” However, the Biblical passage quoted above is tells us that the opposite is actually true- the ends do not justify the means in life, the means justify the ends. For example, Paul the Apostle clearly rejected certain means of promoting the gospel. Those means included things like concealment, adulteration, and/or deception in communicating the message of Christ. Of course, its also been said that “the more things change, the more they stay the same” in life as well. For instance, there appears to be no shortage of those who are willing to dilute, tamper, or falsify the Word of God today just as there were in Paul’s day. The difference is that those who work to use such methods today now have the advantage of 21st century technology to market and package such messages more effectively. Nevertheless, this passage also carries a number of personal implications as well. For instance, our desire to help others find salvation might lead us to bargain, cajole, or leverage others into a “decision for Christ.” Or perhaps we might seek to water down a controversial portion of Scripture or take it from its context to make it more palatable to those who hold an opposing view. Or we might invite others to attend a spiritual outreach without fully disclosing the nature of the event. These things (and those like them) should give us pause to remember the message given to us in the passage quoted above: “…by setting forth the truth plainly we commend ourselves to everyone’s conscience in the sight of God” (NIV). “And even if our gospel is veiled, it is veiled to those who are perishing. The god of this age has blinded the minds of unbelievers, so that they cannot see the light of the gospel that displays the glory of Christ, who is the image of God” (2 Corinthians 4:3-4). In 2 Corinthians 4:3-4, the Apostle Paul reached back for an analogy he employed earlier within this letter- the imagery of a veil that obstructs the spiritual understanding of those who encounter the gospel of Christ. A closer look at this passage identifies some important dynamics that often exist whenever a discussion of Jesus’ substitutionary death takes place with nonbelievers. First we see the involvement of Satan, or the “god of this age” who works to negate the message of salvation in Christ. As a created being, Satan does not possess the same attributes as the eternal, all-knowing, and all-powerful God of the Scriptures but he does possess certain god-like abilities that we’ll examine in greater detail a little later. “This age” refers to the attitudes, philosophies, opinions, values, and belief systems that characterize the world as it is, a world that largely rejects it’s Creator. “He who believes in Him is not condemned; but he who does not believe is condemned already, because he has not believed in the name of the only begotten Son of God. And this is the condemnation, that the light has come into the world, and men loved darkness rather than light, because their deeds were evil. For everyone practicing evil hates the light and does not come to the light, lest his deeds should be exposed” (John 3:18-20). (4) C. S. Lewis The Great Divorce [chapter nine]. “And even if our gospel is veiled, it is veiled to those who are perishing. In their case the god of this world has blinded the minds of the unbelievers, to keep them from seeing the light of the gospel of the glory of Christ, who is the image of God” (2 Corinthians 4:3-4 ESV). The Scriptures associate “the god of this world” with Satan, a fallen angelic being. Contrary to many popular depictions, the Bible does not represent Satan as a myth, a legend, or a comic individual with a red suit and a pitchfork. Nor is he identified as a kind of “anti-god” who is equal in power with the Biblical God. Instead, “the god of this world” is described as a real being with emotions (Revelation 12:17), desires (Luke 22:31). plans (Ephesians 6:11), the capacity to reason (Job 1:9-10), and the ability to carry out his intentions (2 Timothy 2:25-26). His is also described as “the evil one” (Matthew 6:13), “the wicked one” (1 John 2:13), “a liar and a murderer” (John 8:44), “a deceiver” (Revelation 20:10), and “the ruler of this world” (John 12:31) at various points throughout the Scriptures. 1 John 5:19 also tells us, “…the whole world is under the control of the wicked one.” This passage helps us understand one way in which the god of this age has “…blinded the minds of those who do not believe” (NET). For instance, the spiritual blindness referenced here in 2 Corinthians 2:34 is routinely advanced by a world that has little interest in it’s Creator and is populated largely by those who choose to live as if God did not exist. So when faced with the relentless daily pressure to go with the flow of a Biblically disinterested world, its easy to lose sight of the fact that a world that exists beyond the one we currently inhabit. This spiritual blindness is also reinforced by the caricature of the devil as a cartoonish figure who is nothing more than a fictional prankster. Unfortunately, those who view the god of this world in this manner are ill-equipped to escape this kind of spiritual darkness because they perceive him to be something other than the dangerous enemy who is identified within the pages of the Scriptures. “For we do not preach ourselves, but Christ Jesus the Lord, and ourselves your bondservants for Jesus’ sake. For it is the God who commanded light to shine out of darkness, who has shone in our hearts to give the light of the knowledge of the glory of God in the face of Jesus Christ” (2 Corinthians 4:5-6). Its not unusual to encounter those who seem to possess a gift for leadership. These charismatic individuals are often characterized by the kind of personality that radiates the qualities of strength and confidence. Since they are naturally comfortable in assuming leadership roles, such men and women often tend to rise towards positions of influence. Because of this, the Scriptures encourage those who possess the gift of leadership to exercise it in a God-honoring manner (see Romans 12:8). For example, we might steer a Biblical text towards a personal subject of interest or interject our social, political, or economic views into a teaching when it may not be warranted. Or perhaps we might draw attention to our personal experiences or insert different types of self-references into a sermon or message. The point is that a God-given position of leadership does not automatically bestow us with a license to indulge our personal opinions for “…it is Christ Jesus the Lord whom we preach, not ourselves” (Phillips). This does not necessarily mean its wrong to refer to our personal accomplishments, interests, theories, or life experiences in ministering to others. However, such anecdotes should be seen as a vehicle to help others grow in their understanding of God’s Word. 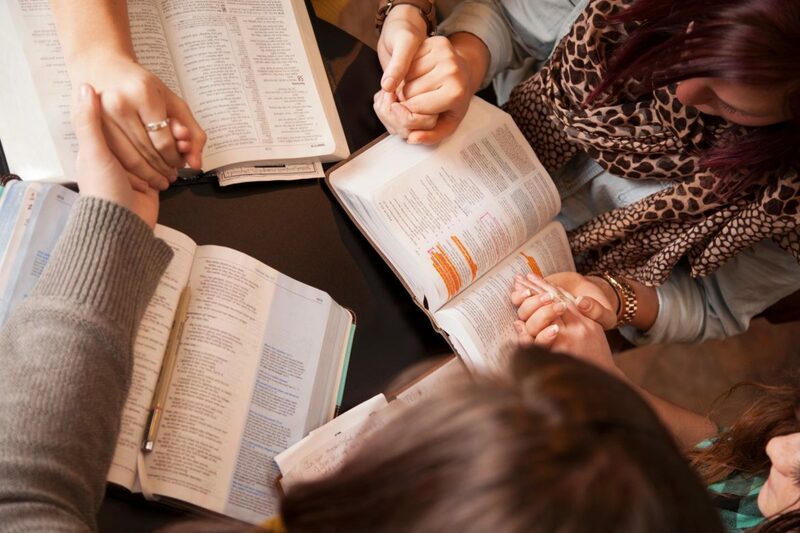 When self-references begin to appear in a message for any reason other than as a way of connecting with people in order to communicate the Scriptures more effectively, there may be something wrong. The central portion of 2 Corinthians chapter four finds the Apostle Paul moving away from the topic of spiritual blindness and introducing a new concept- the light of the gospel message contained within “jars of clay” (NIV). Today, an ordinary clay jar is often used to hold a potted plant or perhaps some decorative flowers. However, these earthenware containers were also used for a variety of other purposes in the days of the first century, For instance, a clay jar might typically be used to store any number of things including personal valuables, water, or edible items. Although these earthenware jars were fragile and easily damaged, they were inexpensive to replace if the need arose. And unlike an attractive, eye-catching product, there was little to commend the humble clay pot to a prospective purchaser. If one earthenware container did not meet with a buyer’s approval, there might be dozens of others available to choose from, just as is true today. This meant that the image of an earthen vessel served as an effective means of communicating the fact that God has chosen to place the incomparable message of eternal life through Christ into the hands of fragile human beings. Much like a clay jar holding a bouquet of beautiful flowers, this served to focus attention upon the Gospel message and not upon the one who held that message. We’ll talk more about this analogy next, but for now we can say that a good illustration of this idea might be found in an important series of events that took place beginning in 1946. It was during that time that a young boy found copies of the now-famous Dead Sea Scrolls in the caves that populated the northwestern shore of the Dead Sea. Copies of every Old Testament book (with the exception of the book of Esther) were found within these caves in whole or in part. At least one fragment among these discoveries is thought to have been copied around 250 B.C. The discovery of the Dead Sea Scrolls represented one of the greatest archaeological finds of the 20th century. Yet how were these priceless manuscripts stored when they were discovered? Well much like the incomparable message of salvation in Christ in the custody of finite human beings, these precious treasures were found tucked away in common clay jars. “But we have this treasure in jars of clay, to show that the surpassing power belongs to God and not to us” (2 Corinthians 4:7 ESV). The word of God (verse two). “The glory of Christ, who is the image of God” (verse four). “the knowledge of the glory of God in the face of Jesus Christ” (ESV) (verse six). So God has deliberately chosen to place these riches in an unusual place- finite human beings who are likened to “jars of clay.” But why would He elect to place this treasure in human beings who are so prone to the frailties of life that they might be compared to fragile clay jars? Well, the passage quoted above provides us with the answer to that question: “…in order to show that the supreme power belongs to God, not to us” (GNB). This serves to direct our attention to the value of the contents inside the jar (i.e. frail, fallible human beings) and not upon the jar itself. You see, a jar of clay only has a nominal value in and of itself. If an earthenware vessel holds any substantial value, it is only because it contains something of greater worth. In a larger sense, this also serves to illustrate another important spiritual truth: our sense of worth must be built around what Jesus has done for us and not around any temporal qualities we may possess, no matter how impressive they seem to be. As we’re told in the New Testament book of Romans, “…God demonstrates His own love toward us, in that while we were still sinners, Christ died for us” (Romans 5:8). No matter how extraordinary or attractive an earthenware vessel may appear to be, it shares the weaknesses that are common to such pottery- and just like fragile human beings, an earthenware container will eventually return to the earth from which it came. Therefore, it helps to remember the wisdom of the old proverbial saying: it’s what’s inside that counts. “We are hard-pressed on every side, yet not crushed; we are perplexed, but not in despair; persecuted, but not forsaken; struck down, but not destroyed— always carrying about in the body the dying of the Lord Jesus, that the life of Jesus also may be manifested in our body” (2 Corinthians 4:8-10). “We are hard-pressed on every side, yet not crushed.” While we might expect a common clay jar to quickly fail under intense stress-testing, one that contains this spiritual treasure will remain intact as a result of what’s inside. “We are perplexed, but not in despair.” Even though we don’t always understand why things happen the way they do, we are strengthened by the knowledge that God always has valid reasons for things we can’t easily explain. But everyone who hears these sayings of Mine, and does not do them, will be like a foolish man who built his house on the sand: and the rain descended, the floods came, and the winds blew and beat on that house; and it fell. And great was its fall” (Matthew 7:24-27). To a casual observer, each of these homes may have appeared to be no different than any other place of residence. Yet one prevailed against this storm because it’s unseen foundation proved to be strong and secure. In a similar manner, we can also withstand the pressures, difficulties, perplexities, and challenges we encounter if we have the foundation of Christ within our lives. “We are afflicted in every way, but not crushed; perplexed, but not driven to despair; persecuted, but not forsaken; struck down, but not destroyed; always carrying in the body the death of Jesus, so that the life of Jesus may also be manifested in our bodies” (2 Corinthians 4:8-10 ESV). As part of the Lord’s calling on the life of Paul the Apostle, the New Testament book of Acts records the following preview of what the future held for him: “…I will show him how many things he must suffer for My name’s sake” (Acts 9:16). If we were to engage in a study of Paul’s life following this call to ministry, it would quickly reveal that he endured a great number of hardships, difficulties, and persecutions as he sought to fulfill God’s call upon his life. These adversities included…. At least five different attempts to murder him (Acts 9:22-23, Acts 14:19, Acts 21:30-31, Acts 23:14-15, Acts 25:2-3). An effort to secure a civil judgment against him (Acts 18:12-17). An incident where he was beaten, imprisoned, and placed into stocks (Acts 16:16-24). Two instances where he was forced out of town (Acts 13:49-50, Acts 17:13-14). As we’ll see in 2 Corinthians chapter eleven, these examples from the book of Acts represent a partial list of the afflictions Paul endured in pursuit of the work that God had called him to do. Therefore, he was uniquely qualified to speak on the ironies listed in the passage quoted above as well as a similar list that he will discuss in 2 Corinthians chapter six. “Abandoning metaphorical language, Paul proceeds now to describe the change that has come about since the placement of the treasure within him. It is not a change in the conditions or circumstances of his life (for pressure and perplexity continue to be a part of his experience, together with persecution and physical beatings which have come more recently, since the beginning of his ministry). (1) Davis, J. A. (1995). 1-2 Corinthians. In Evangelical Commentary on the Bible (Vol. 3, p. 988). Grand Rapids, MI: Baker Book House. “For we who live are always delivered to death for Jesus’ sake, that the life of Jesus also may be manifested in our mortal flesh. So then death is working in us, but life in you” (2 Corinthians 4:11-12). Everybody wants to laugh, but nobody wants to cry. Everybody wants to hear the truth, yet everybody wants to tell a lie. Everybody wants to know the reason, without even asking why. In the Apostle Paul’s New Testament letter to the Philippian church, he made the following admission: “I want to know Christ and the power that raised him from the dead. I want to share in his sufferings and become like him in his death” (Philippians 3:10, NCV). This is a particularly revealing passage of Scripture for modern-day audiences for it draws our attention to a dichotomy that often exists between the first and second halves of that verse. You see, it’s easy to gravitate towards the benefits that accompany the knowledge of Christ and the power of His resurrection. But it is the second half of that Scripture that is often more problematic for it speaks of taking part in “…the fellowship of His sufferings, being conformed to His death” (HCSB). As much as we might like to avoid it, this represents a package deal- if we want to know Jesus and the power of His resurrection, we must be willing to participate in His suffering and death. In other words, we can’t get one without the other. While many of us may never be called to endure the kind of affliction that marked the life and ministry of Paul the Apostle, we are similarly called to become “living sacrifices” (Romans 12:1) that impact others for Christ within our circle of influence. To paraphrase 2 Corinthians 4:12, it is in this manner that death works in us so that life may work in others. (2) Sproul, R. C. (Ed.). (2015). The Reformation Study Bible: English Standard Version (2015 Edition) (p. 2055). Orlando, FL: Reformation Trust. “And since we have the same spirit of faith, according to what is written, ‘I believed and therefore I spoke,’ we also believe and therefore speak, knowing that He who raised up the Lord Jesus will also raise us up with Jesus, and will present us with you. For all things are for your sakes, that grace, having spread through the many, may cause thanksgiving to abound to the glory of God” (2 Corinthians 4:13-15). “Concerning this salvation, the prophets, who spoke of the grace that was to come to you, searched intently and with the greatest care, trying to find out the time and circumstances to which the Spirit of Christ in them was pointing… It was revealed to them that they were not serving themselves but you, when they spoke of the things that have now been told you…” (1 Peter 1:10-12 NIV). Another translation renders this portion of Scripture in the following manner: “God revealed to the prophets that the things they had spoken were not for their own benefit but for yours…” (GW). In a sense, what was true for the prophets is also true for us today- our lives serve future generations as well. Whatever we do (or don’t do) will have an effect upon others, perhaps for generations to come. However, our choices and decisions also carry a short-term impact as well for 2 Corinthians 4:15 tells us, “…we go through all things on account of you, because the greater the number to whom the grace is given, the greater is the praise to the glory of God” (BBE). As we prayerfully endure the daily challenges of life and make long-term decisions with an eye towards honoring God, we can be assured that “…it will increase the thanksgiving of more and more people to the glory of God” (ISV) both now and in the future, even if we don’t fully grasp the significance behind the events that transpire in our lives now. 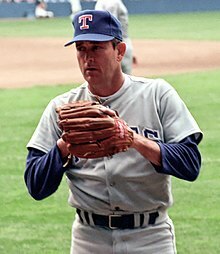 Nolan Ryan was undoubtedly one of the greatest pitchers in major league baseball history. He was a World Series champion, he pitched seven games in which he did not allow a hit (a major league record), and he struck out more batters than any other pitcher who has ever lived. Ryan’s lengthy big-league career began in 1966 and lasted until September 22nd, 1993 when it ended in the first inning of a mid-week game when he tore a ligament in his elbow. A few days later on September 25th, 1993, another outstanding major league baseball player called a press conference to announce his retirement. Like Nolan Ryan, George Brett was a former World Series champion as well. 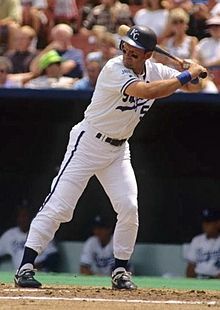 At the time of his retirement, Brett was the only player to hit over .300 in three different decades and is one of a small circle of players to collect more than 3000 hits over his major league career. While there are few people who can perform at the major league level of professional athletes like George Brett or Nolan Ryan, Brett’s observation carries a much wider application than perhaps he realized. As we grow older and slowly lose the abilities we once possessed in our youth, we can begin to recognize the truth behind 2 Corinthians 4:16 even if we are reluctant to admit it: “…our physical body is wearing away” (NET). To paraphrase George Brett, the game of life is beating us, just as it beats everybody in time. However, this passage also provides us with a word of encouragement: as God works to conform us to the image of Christ, our internal being follows a reverse trajectory. While our physical capabilities may be diminishing, we are being internally renewed on a daily basis. Thus, the internal “you” inside your body is growing younger, stronger, and more powerful even as the external “you” is in decline. For our light affliction, which is but for a moment, is working for us a far more exceeding and eternal weight of glory, while we do not look at the things which are seen, but at the things which are not seen. For the things which are seen are temporary, but the things which are not seen are eternal” (2 Corinthians 4:17-18). Our response to the troubles and afflictions we experience in life often comes down to a matter of perspective. For instance, an issue that might represent a concern for a toddler may be easily dismissed by a pre-teen. A person who has reached his or her mid-20’s might be amused at the “problems” faced by a teen. A middle-aged person might welcome the opportunity to exchange the duties, challenges, and responsibilities of adult life for the problems of a 25 year old. Finally, a person who is approaching the final years of life may long to return to the “good old days” of middle-age. Although it may be difficult to fully appreciate the challenges, difficulties, and concerns of those outside our age group, that does not make make those problems any less real to those who encounter them. Because of this, 2 Corinthians 4:17-18 encourages us to initiate a similar change of perspective with respect to the hardships and afflictions we face in life. You see, the problems and troubles we experience can be seen as light and momentary if they are viewed from an eternal perspective, If we were to place our struggles on the scale of eternity and weigh them against the future that God has prepared for us, its possible to view them in a different light. For Paul the Apostle, the sufferings, persecutions, indignities and hardships he endured for Christ in this life were relatively insignificant compared to the eternal glory to follow. “For this light momentary affliction is preparing for us an eternal weight of glory beyond all comparison, as we look not to the things that are seen but to the things that are unseen. For the things that are seen are transient, but the things that are unseen are eternal” (2 Corinthians 4:17-18 ESV). Than why call him God? While this may seem to represent a formidable objection, perhaps a change in perspective might be useful. For instance, what if we were to view pain and suffering from an eternal frame of reference and seek to determine what God might wish to accomplish through it? “So, how can a loving all-powerful God allow pain and suffering? The same way a loving father can allow his infant child to suffer the doctor’s needle. From the child’s perspective, the shot is terribly painful and unwanted, but the father knows that the pain of the injection will result in something beneficial to the infant. The father also knows he is acting in love, even though a painless day (from the child’s perspective) might seem like a more loving approach. “For our momentary, light suffering is producing for us an eternal weight of glory far beyond all comparison because we are not looking at what can be seen but at what cannot be seen. For what can be seen is temporary, but what cannot be seen is eternal” (2 Corinthians 4:17-18 NET). Anyone who operates a mechanical clock or motorized appliance is probably familiar with the operation of various gears. Such gears are often utilized to transmit rotational motion or change the speed of a rotating assembly. For instance, a large gear that spins relatively slowly can produce much greater speeds in a smaller interlocking gear. Much like a large gear works to induce a greater speed in a smaller gear, 2 Corinthians 4:17-18 tells us that our troubles, difficulties and afflictions also serve to induce something far greater: “…they produce for us a glory that vastly outweighs them and will last forever!” (NLT). “…there is a direct tie between the afflictions of our “wasting away” in this physical life and the glory that is to be ours in the next life. The one is preparing for the other. No matter how great the trial may seem to us, compared with what is coming it is relatively slight. No trial, no pain, no isolation, no heartache, no loneliness, no weakness or failure, no sense of being put aside, is without significance. All of it is playing its part in accomplishing God’s work in our lives and the lives of others. It is building for us an incomparable weight of glory. “For our momentary light affliction is producing for us an absolutely incomparable eternal weight of glory. So we do not focus on what is seen, but on what is unseen. For what is seen is temporary, but what is unseen is eternal” (2 Corinthians 4:17-18 HCSB).